With less than six months to go till the 2014 Olympic Winter Games, Omega is announcing the Sochi Petrograd. 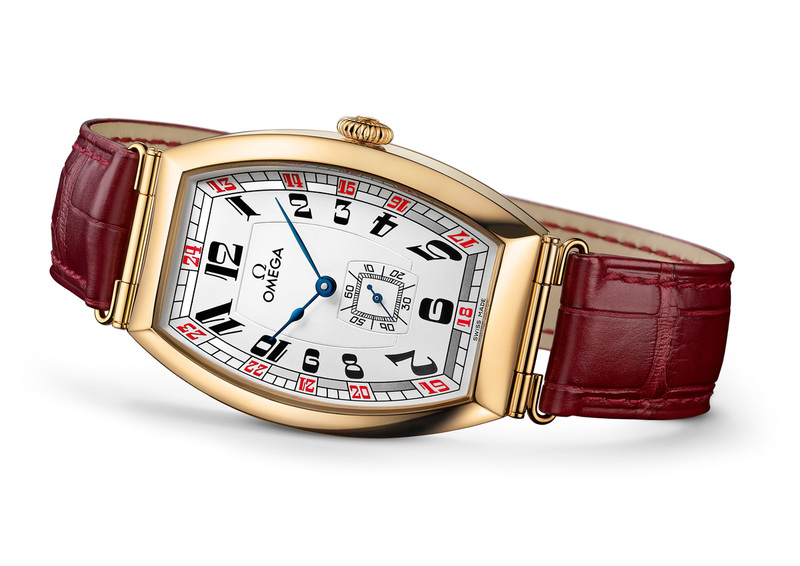 As the official timekeeper of the 2014 Olympic Games, Omega revived a historic timepiece, the Omega Petrograde from 1915 to honour the hosting country. A limited edition of only 100 pieces, the 18K yellow gold case of the Sochi Petrograd is engraved with the logo of the 2014 Games. Keep reading to find out more details about this elegant watch. 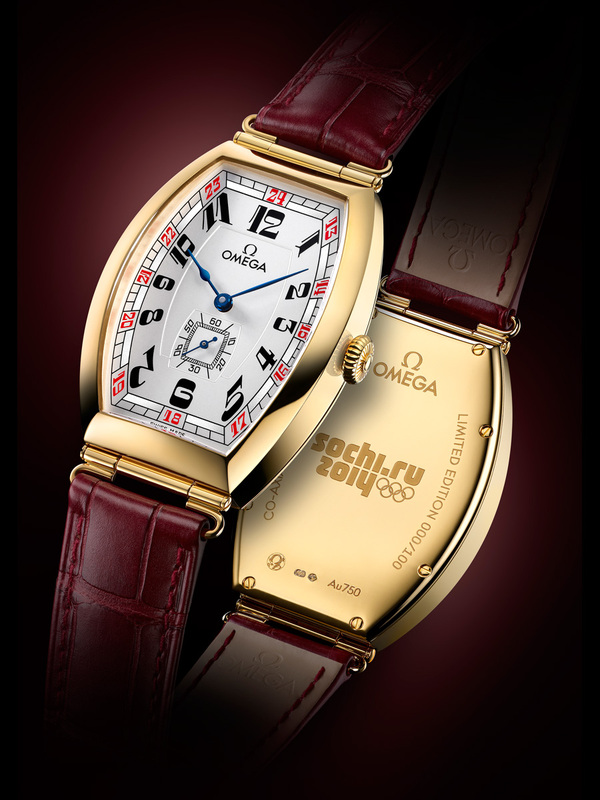 Recalling a timepiece originally produced for a prominent Russian leader in 1915 and borrowing from the unique style of a wristwatch in OMEGA’s Museum Collection, the OMEGA Sochi Petrograd is a tribute to the host country of the Sochi 2014 Olympic Winter Games and a reintroduction of a timeless design that is as distinctive today as it was nearly a century ago. The “Tonneau” shape of the polished 18K yellow gold case is one of the most fascinating design features of this timepiece and brings back a favoured style from an earlier era. The case is presented on a striking burgundy leather strap complete with an 18K yellow gold buckle. The silvery-white dial incorporates the bold red, white and blue colours of the Russian flag with its red 24-hour track on a polished minute track with central hour and minute hands fashioned from blued steel. The black sub-dial at the 6 o’clock position has a blued steel seconds hand and matches the black 12-hour track. Another striking feature is the 18K yellow gold caseback engraved with the logo of the Sochi 2014 Olympic Winter Games and the limited edition number. Only 100 models of the Sochi Petrograd will be produced. Powering this commemorative timepiece is OMEGA’s exclusive calibre 2202 with a Co-Axial escapement and special luxury finish. Presented in a special watch box, the OMEGA Sochi Petrograd is offered with a three-year warranty and is water resistant to 3 bar (30 metres / 100 feet). OMEGA is proud to assume the responsibilities of Official Timekeeper at the upcoming Sochi 2014 Olympic Winter Games, a role we will fill for the 26th time since 1932. We look forward to serving the world’s finest winter athletes in Russia next year.